When I first had the idea to create a blog, I couldn't sleep for days. I was so restless and I couldn't stop thinking about it. My initial plan was to interview very passionate people and learn from them. I named it Tick Talk. At that time, I felt stuck in a corporate job. That's why I thought of interviewing people who were passionate about what they do. I would interview famous people, people who really knew their sh*t. I would meet them and I knew that I would become like them one day. This idea was so big, it had to be a great success! -I wasn't clear. I wanted to blog and I wanted to meet passionate people- those parts I was sure of. But I wasn't clear about other things. Like, who was I writing for? What was my purpose behind the blog? Why would people want to be interviewed by me? Why did I even want to do all this? -I didn't have any confidence. When I did my first interview, I just didn't know where to start. I had a list of questions in my notebook, but I lost my nerve even before the interview started. I was a nobody and I made sure my interviewee knew it. -I didn't fall in love. Some ideas come to you and you get excited about them. But then, for no reason, you just don't fall for each other. The spark was there. But at the first hint of challenges or misunderstanding, you just back out. -I didn't talk to the right people. When I told some friends about the idea, they didn't know what I was talking about. The year was 2009 and few people knew about blogging. It was difficult to get support for something others couldn't understand. No one shared my enthusiasm and I eventually lost my excitement for the project. One year later, I came up with the idea of We Are Sole Sisters with a former colleague. In just a month after the planning stage, the blog was up and running. Less than a year after the blog started, we already won an award. Nearly 5 years later, I'm still blogging and passionate about what I'm doing. Now what did I do right, this time? -I didn't make it just about me. I could have chosen to make the blog about me, myself and I. But how boring is that? I would run out of things to talk about. 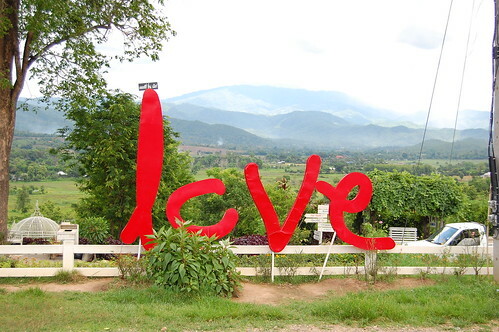 But since I chose to write a blog about my constant passion which is travel, I could never run out of things to say. Travel was so absolute for me that it consumed my thoughts. Eventually, I formed a group of women who are also passionate about what I'm passionate about. -I stayed in love. There are days when writing a blog is more challenging. There have even been moments when I got burnt out and wanted to stop. But what keeps me from giving it all up? Every day, I ask myself: "Are you still in love?" And if the answer is yes, I keep at it. -I found the right support. One of my best friends Paul created the blog for us within days. When we first started blogging, we emailed a lot of bloggers. We commented on all our favorite blogs almost on a daily basis. We met bloggers and readers alike- online and in person. The need to connect was almost as important as working on the blog. And it hasn't changed since. What's the first step in starting a blog? Start with Why. Why do you want to blog? It's a very basic question but it allows you to realize why you're going to put all your energy and passion into this project. A lot of bloggers out there start websites without asking themselves this crucial question. And that's why many of them stop blogging within months. What did you invest in when you started? We just started the blog on a free platform and paid for the yearly domain fee (around 12 USD). I also purchased my first notebook and I got a very basic HP mini for about 270 USD. This may be one of the most important things you'll decide on as a newbie blogger. Your domain name is essentially your brand packed in a few words. Choose something that reflects who you are and what you want to blog about. Stick to about 2-4 words (less is best) which are easy to spell and remember. And try to choose a domain that will grow with you, even after your life circumstances or location change. For example, solotravelerinasia.com sounds like a good domain. But what if you get married? Or what if you actually move to Europe? Our first pick for a domain was soletrail.com. But after a few weeks of blogging, we started to call each other "Sole Sisters". The name stuck and we changed our domain shortly thereafter. 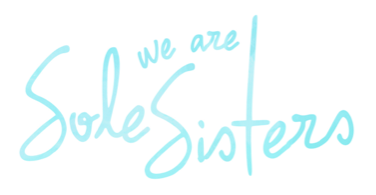 We Are Sole Sisters is more catchy, inclusive and easier to remember, don't you think? Blog about what you know. Blog about your passions. But if you're not clear on both, blog about what you're curious to learn. I'm sure you will find people who want to go on a journey of discovery with you. Yes you can. But it's not as easy as you think. Here's the truth on getting paid to travel. How do I know if blogging is really for me? 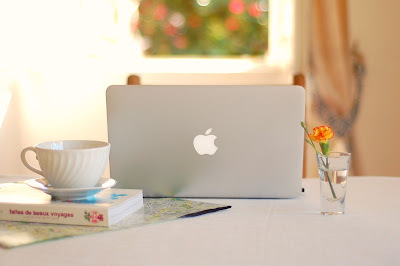 If you are passionate about something and have this unquenchable desire to share and connect, then blogging is definitely for you. Should I start a personal or a niche blog? If you have a personality that's extremely unique and interesting, then I would say make it a personal blog- or to be clear, a blog that's all about you, your passions, your life. But if you want to connect, inspire, and entertain, go for a niche blog. A niche blog does not have to be only about one thing. It can be about a combination of the many things you're interested in. How much work do I need to put into blogging? A LOT. Many people don't realize this, but blogging can take up a lot of your time and energy. I have never finished a To Do List ever since I started blogging. 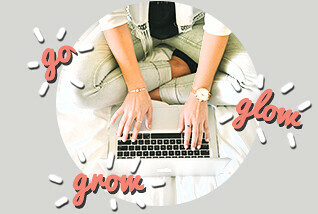 You start your day by answering emails, writing articles, replying to comments, tweaking your blog design and features, connecting with other bloggers, promoting your projects, answering advertising inquiries, and the list goes on... Did I mention that you're going to spend a LOT of time online? So if you want to get into blogging, don't hope that this will just be a passive income strategy. You can actually build a career from this! There's limitless information online about how you can start a blog. But for those of you who prefer to focus on the blogging part and want someone else to build your blog, we've created a program that can help you Create a Blog to Launch You into the Lifestyle You Love! 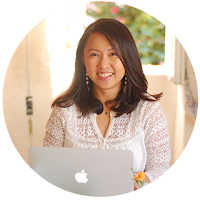 The Blog Launch Love Team can help you by creating a personal blog that reflects you – your passions, your style, your attitude. We can help you Go with your own flow and start discovering and sharing. We can also help you Grow and evolve as you build your own community. Ultimately, we want you to Glow, to shine on as you are empowered by what you love and the people who love the same things. Whether you’re a running enthusiast, yoga teacher or a travel addict, you have a unique gift to share to the world. We can help you get clear on what you want to blog about. This ensures that you will not just start a blog but continue blogging for years to come. It will also help you connect with the right kind of readers who will truly enjoy what you have to share. Being passionate about your topic and target audience allows you to build a blog that can change people’s lives. We can build a special place to house all your best ideas. Your personal blog will be built on WordPress, the most used blogging platform in the world. Without any technical knowledge in coding or programming, you can control nearly all aspects of your blogging including theme customization and search engine optimization. And with WordPress as your blogging tool, you can be assured of on-time and top notch security updates. 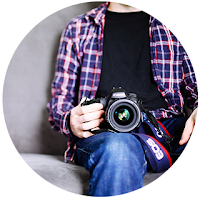 We want to create a blog that reflects YOU- your personality and preferences. We will implement an eye-catching design for your website’s header, icons, and logo in order to establish your ‘brand’ on the web. We will also set up the necessary pages and ensure that everything flows well together aesthetically. We don’t want to just throw you in the water hoping you would learn how to swim. We will train you and share our best practices from years of blogging to ensure that you will achieve your blogging goals. 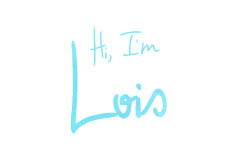 Hi I’m Lois, the Chief Launcher. 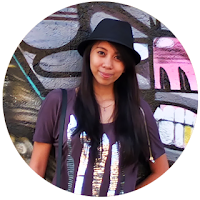 I’ve been blogging since 2010 and have been featured on TV, magazines and international websites. Blogging has launched me into many careers like becoming a writer, motivational speaker, hostel manager and a lifelong traveler. Today, I'm living a passionate life in Europe. I want to help you launch a passionate lifestyle through blogging. I am Paul, the one you call when you want to simplify things, the Go-to Guy, as my friends call me. As part of the Blog Launch Love Team, I will take care of the “messy” part of blogging (domain, hosting, WordPress set-up, and more). I used to be a corporate slave. But when I was introduced to Web 2.0, I kissed my 8-5 work life goodbye. I have been helping friends start their blogs pre-Blogspot/Blogger (of Google) era. I enjoy building websites on the beach (or anywhere my lovely photographer-wife wants us to go). I am Aileen and I take care of all things related to design for Blog Launch Love. I have been doing Graphic and Web Design for years — in fact, I have been building and designing websites ever since I was 13 years old. It was just a hobby at first with projects here and there, but it eventually evolved into a significant part of my profession when I quit my corporate job at 21 to travel the world. 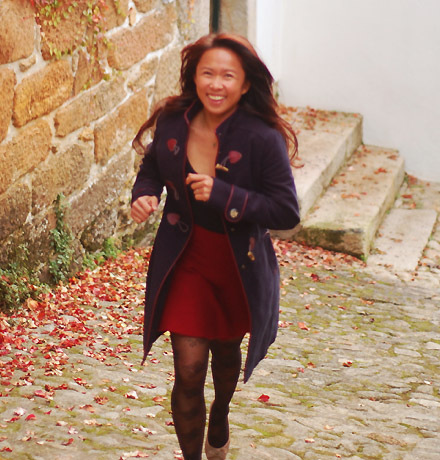 Today, I am exploring Europe as a travel writer, entrepreneur and web specialist. My mission in Blog Launch Love? To develop a website for you that is exceptional and pleasing in terms of visual branding. Check out the Blog Launch Love Packages! Do you want to get clear on what blog you want to start and what unique gift you can share to the world? 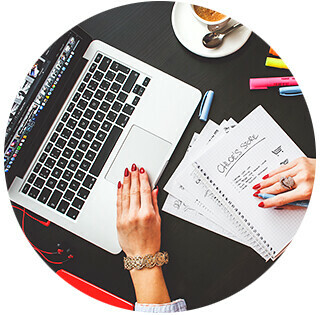 This bootcamp is perfect for wannabe bloggers, newbie bloggers or even pro bloggers looking to rebrand. You don't even need a blog to participate! Everyone will come away with a burst of ENTHUSIASM, CLARITY on what to blog and the PASSION to keep it running. Daily emails will be sent to your inbox for 7 days from June 16-22. 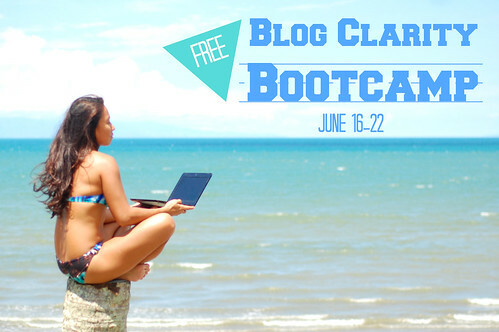 By participating in our Facebook group with the rest of your Blog Clarity Bootcampers, you'll have a chance to get featured on our website as well as social media networks and help get you launched ASAP! Every day we will build upon the previous topic so by the end of the 7 days, you will have taken 7 simple but powerful steps towards building and growing your blog. ✓ This bootcamp is absolutely FREE! ✓ It will be run by 2 veteran bloggers who have years of blogging experience. You will also be supported by our Web Developer who has the technical know-how. ✓ Our private facebook group is where you can connect with like minded people who are struggling with the same issues. You can find a great support group who will not just learn with you but encourage you along the way. ✓ Even after our 7 Day Bootcamp, we want to maintain our group as a place where you can continue to ask questions, share insights, and get guidance as you continue your blogging journey. Why Only 7 Days? That Seems Short! We'll only be covering the basics of starting a blog and getting clear on the blog you want to create. This allows you to fully participate within a short duration. The assignments will be fun and easy and you will not spend more than an hour each day to complete them. We won’t be going over the technical aspect of setting up a blog during the bootcamp. But we will give you resources to help you get started. We want to keep it intimate and be able to guide all of you who participate. So for the first run, we only have room for 50 bootcampers. There will be no place for wallflowers around here, so please make sure you have the time and motivation to participate in the bootcamp before you sign up. We will announce when the next bootcamp will be! i like your blog site :) do you have a web designer or you do it by your self? This the great way to write about a how to create a blog. I like this post and inner material that you shared here.